The Kundalini energy usually is in a dormant state in the sacrum bone, but not so in everyone. Some children are born with the energy flowing, sometimes it can be seen pulsating on their fontal bone, these children are usually well balanced people who have nice clear eyes and are often of a gentle disposition, they can be tearaways too, but you will know they have ‘something special’ about them, maybe a certain wisdom? obviously the Greeks new that this bone was special as they named it the ‘sacred bone’. The individual kundalini within each one of us contains a desire to meet with the collective kundalini, we could think of this as individual rain drops flowing back to the ocean. In that ocean they connected with the whole again. Get your connection. Shri Mataji Nirmal Devi describes the Kundalini energy – see video. 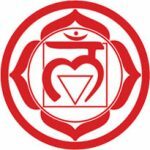 The first chakra is situated below the sacrum bone in which resides the Kundalini, and its main aspect is the innocence. Innocence is the quality by which we experience pure, childlike joy, without the limitations of prejudice or conditionings. Innocence gives us dignity, balance, and a tremendous sense of direction and purpose in life. It is nothing but simplicity, purity and joy. It is the inner wisdom that is ever present in the little children, and gets sometimes clouded by our modern lifestyles. But it is a quality which exists eternally within us and cannot be destroyed, waiting to be manifest as pure joy when the Kundalini rises. Shri Mataji Nirmal Devi describes the Mooladhara Chakra – see video. that can be felt in our palms and indicates our subtle blockages. Also this is the center of pure, steady attention and power of concentration. diabetes or blood cancer can occur when this chakra goes completely out of balance. Shri Mataji Nirmal Devi describes the Swadishthan Chakra – see video. 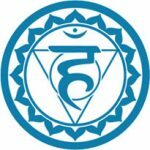 When enlightened by the Kundalini, the Nabhi chakra gives us our spiritual ascent, a true sense of what is right and wrong, it brings an inner sense of morality which doesn’t come from a particular religious teaching but is a universal truth a complete truth which brings about an inner balance at all levels of our life. Shri Mataji Nirmal Devi describes the more male aspect -the Guru principle – see video. diamond hidden within us which witnesses all our actions. After Self Realization, our attention becomes for the first time connected to our Spirit and we gradually become aware of it. Our misidentifications with our ego or conditionings drop and we start becoming identified with our Spirit, which is our true nature. 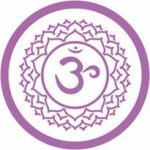 On the physical level, this chakra looks after our heart and lungs – if affected it can cause asthma or various heart conditions. 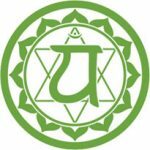 Shri Mataji Nirmal Devi describes the Heart Chakra – see video. we are all part and parcel of the whole. Shri Mataji Nirmal Devi describes the Vishuddhi Chakra – see video. It is the narrow gate which opens the way for our consciousness to ascend to its final destination, which is the seventh center. Roving eyes, watching impure things, or self-centredness damage this chakra. Watching the sky, earth or nature can help cleanse it. Shri Mataji Nirmal Devi describes the Agnya Chakra – see video. The seventh center integrates all the chakras with their respective qualities. It is the last milestone of the evolution of human awareness. 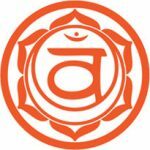 Nowadays, we are at a level which corresponds to this chakra, and our consciousness is able to easily enter into this new realm of perception, which is beyond our limited mind and concepts, and which becomes absolute at the level of the Sahasrara. This chakra gives us the direct, absolute perception of Reality on our central nervous system. This is precisely what is achieved by Self Realization, through the spontaneous awakening of the Kundalini given by Sahaja Yoga. The workings of Self Realization and subtle aspects of the chakras and channels are too extensive to be explained here. They are part of a knowledge which is not only to be studied at the mental level, but to be experienced directly. This new level of consciousness can be achieved after Self Realization, through the regular practice of Sahaja Yoga meditation techniques that are taught, always free of charge, in over 75 countries around the world. Shri Mataji Nirmal Devi describes the Sahasrara Chakra Centre which is the accumulation of all the other 6 centres – see video.